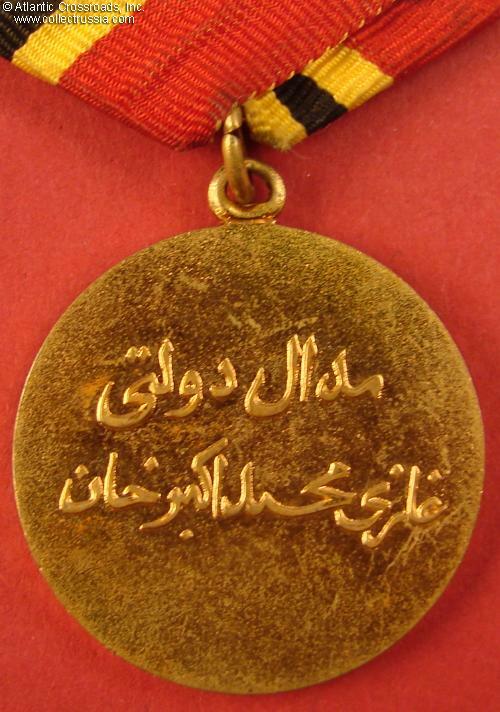 Muhammad Akbar Khan Medal, circa 1980s through 2000s. 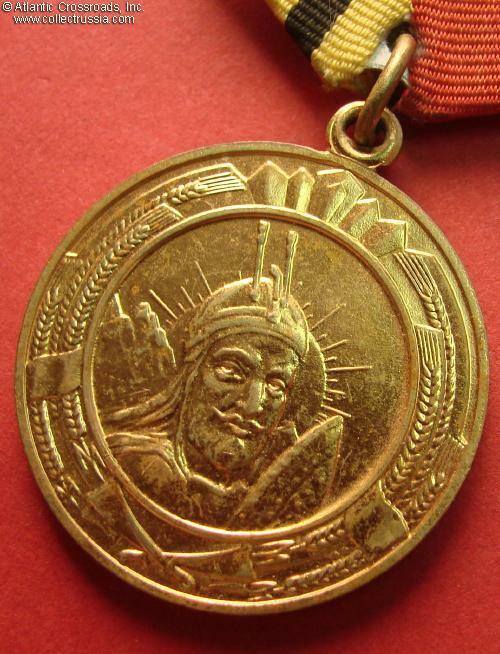 Gilded brass, 34.0 mm wide. 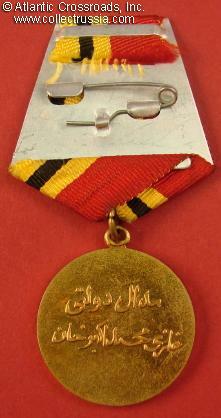 Reverse is inscribed "Governmental Medal of Ghazi Muhammad Akbar Khan". 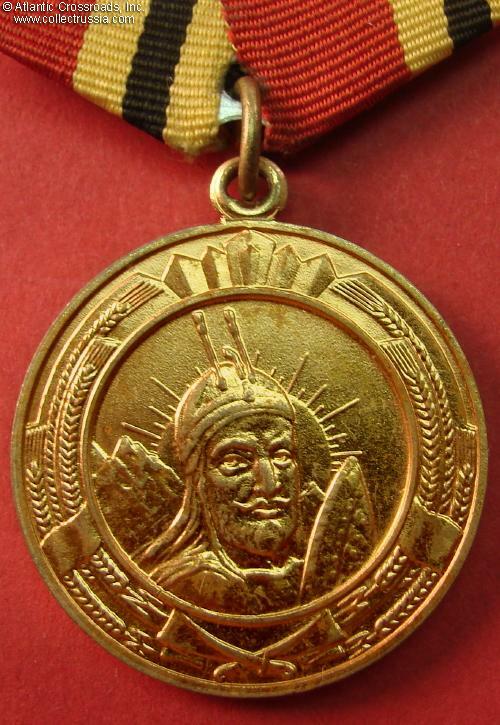 Excellent condition, with nearly pristine gilt finish and perfect details. 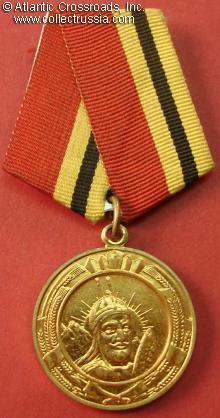 Includes immaculately clean original ribbon.